There seems to be only two alternatives for the woodhouse(see previous post) demolish it, leaving a pile of old bricks in a clearing or letting it rot and continuing to be an atmospheric ruin for exploration forums. In a different world there would be another alternative doing something with it! So below are a few ideas for a future for the Woodhouse. They all share parking problems, a very unique access route, 15 minute walk through dense forest and respect for surroundings and people. I don’t have the resources so I’ll just let the ideas float out to space to be caught by a budding entrepreneur in another place and time. 1) I’ll quickly wade past the usual stuff, craft centre, centre for marriages, events, hotel (b &b or luxury), private housing. 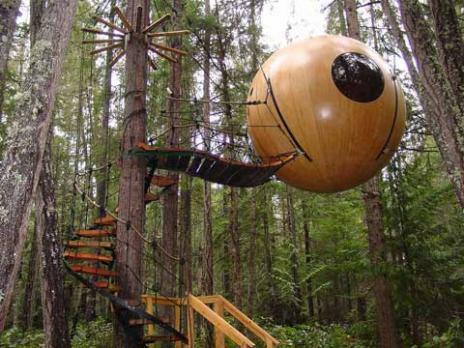 2)tree house exhibition and shop: the house surrounded by treehouses of all types in the surrounding land. A sort of treehouse exhibition, play area and sales area for tree houses. It’s a bit of a niche market but what better location than the atmospheric settings in the centre of england. Possible combination with tree house hotel. 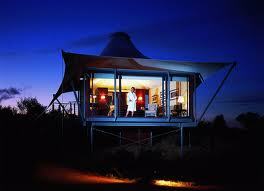 3) eco- hotel: some sort of luxury camping site. It’s all the range according to the media, its called ‘glamping’, I know. There’s all sorts of luxury camping experiences you could do in this place. Star gazing no light pollution nearby, woodcraft workshops, horse riding, woodland dishes, treasure hunting, tales for the kids, whatever Islington types want is possible here. 5) Scary house for weekend adventures,etc. No investment apart from conservation of buildings, just leave it as it is, and hey presto you’ve got one spooky place. potential side earner as filming location. 7) museum and workshop on woodlands and woodcraft. centre for the study and appreciation of woodlands, invited speakers Ray Mears, Yanomamo Indians. Any other ideas are welcome….